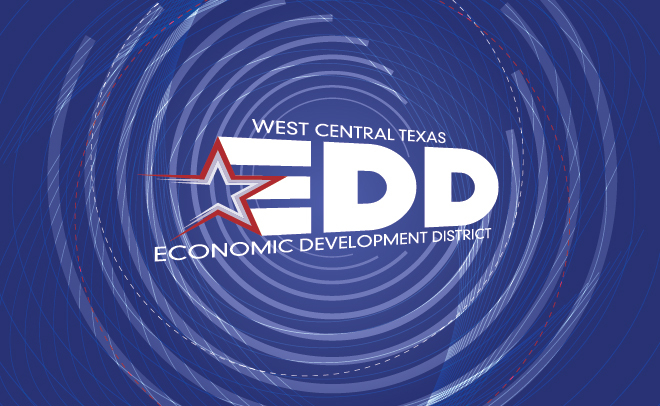 The West Central Texas Economic Development District serves as a catalyst for economic expansion and prosperity while preserving the integrity and character of the Big Country region. Strategic development occurs through creation of sustainable wage jobs, establishment of innovative projects and businesses, strong alliance with local economic development efforts, provision of technical assistance, collection and interpretation of economic data, and vigorous evaluation and procurement of services and resources. The District encompasses the 19 counties of Brown, Callahan, Coleman, Comanche, Eastland, Fisher, Haskell, Jones, Kent, Knox, Mitchell, Nolan, Runnels, Scurry, Shackelford, Stephens, Stonewall, Taylor and Throckmorton.